I’ve created WooCommerce dropshipping stores so I figured it would be good to create a blog post about the two types of stores. Maybe you are torn between which type of WooCommerce store to open—Amazon affiliate or dropshipping? I’ll cover the difference between these two online business models and how easy it is to set up a store of your own. The first thing to do is to understand how these two online business models work. 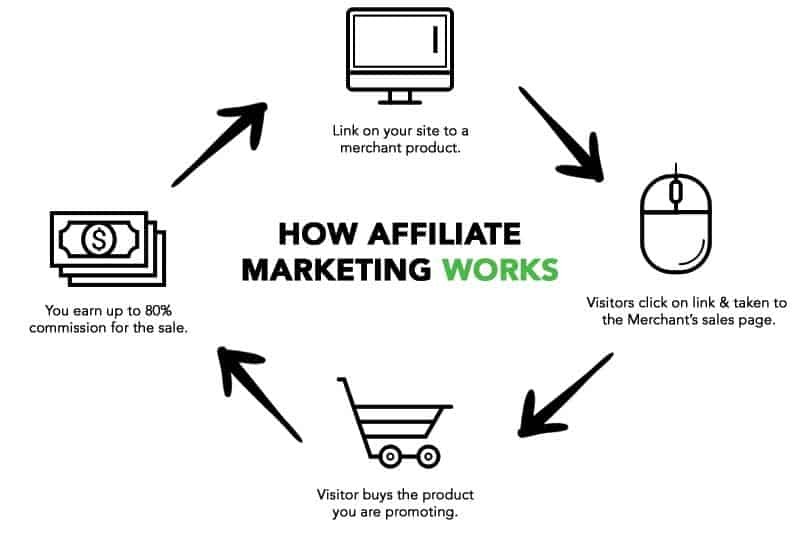 Affiliate marketing and dropshipping have some similarities but they are also very different. Both enable you to work from home or anywhere with an internet connection. You do not need to have your own products to get started with either option. They are also both really low cost to start. Let’s define how each model works. Let’s say that you want to open a store that sells cat products. You can then add the products from Amazon.com into your store. 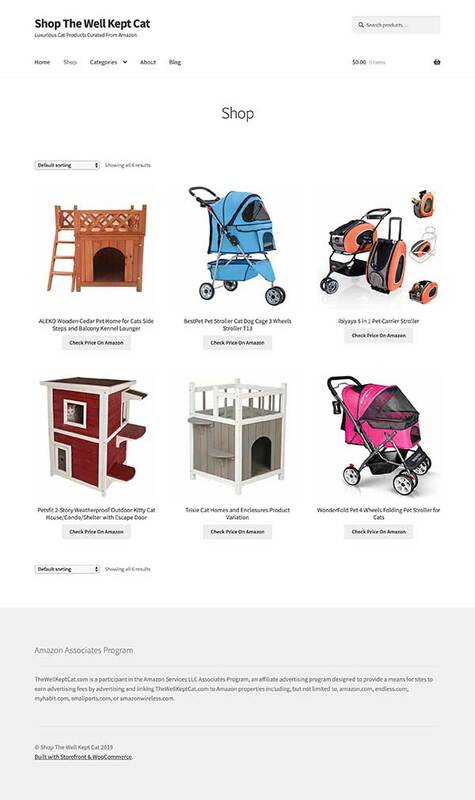 Your buy buttons would link to the product page with your Amazon affiliate link. When someone clicks on your link and buys the item, you get a percentage of the sale. The dropship model works a bit differently. You locate dropshipping suppliers that are selling the items that you want to sell. You place the items that they are selling into your store and set the pricing at whatever you want. When a customer orders a product, you order the product from your supplier and pass along the customer’s shipping details. The supplier then ships the item directly to your customer for you. Therefore, you never have to touch the product. Your profit is the difference in price between what you’ve charged the customer and what the supplier charged you. Setting up a WooCommerce affiliate store is much easier than you may think. The good news is that you don’t need to have any web background to get it set up. The only three things that you need are a WordPress website, the WooCommerce plugin, and a WooCommerce store theme. Even better? All of the software is free. Now, if you are already familiar with using WordPress, then setting up your store will be pretty easy for you. However, if you have no experience with how to set up a WordPress website, I have an easy recommendation. I recommend getting your WordPress website auto-installed for you. You can do this as a new customer with HostPapa web hosting. When you choose any of their optimized WordPress plans, they will give you a free domain name and install WordPress for you. After you have your WordPress website up, you will need to install the WooCommerce plugin. After WooCommerce is installed, it will take you through the set-up wizard which is really helpful and gets all of your basic set-up done right away. It will also install their free Storefront theme so you won’t have to install it separately. I will use the Amazon affiliate program (Amazon Associates) as an example as they have millions of products that you can choose from and sell. The first thing you’ll need to do is apply for the Amazon Associates program. After you are approved or if you are currently a part of the program, you can add products to your WooCommerce store. You can add any photos and also add your product title and descriptions which you can pull right from the product page on Amazon. The next step is important. 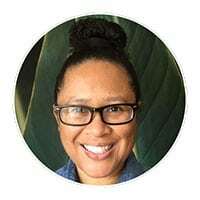 You’ll want to make sure that you put in your Amazon affiliate link which will connect to the buy button on your product page. You’ll want to copy that link so that you can paste it into the affiliate URL area on the product page you are editing. 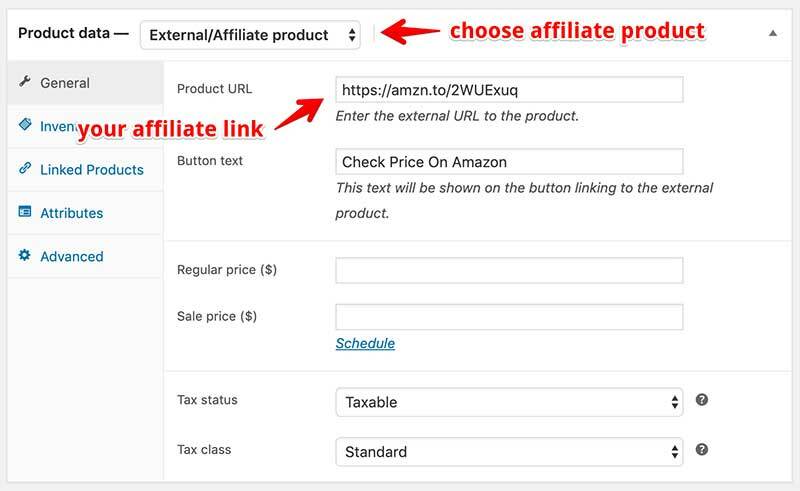 Your Amazon affiliate links can be obtained in your Amazon Associates account. Paste in your affiliate link where it says, “Product URL”. I update my buy button as well to say “Check Price On Amazon”. You can have it say whatever you want. I don’t add any pricing as it changes regularly on the Amazon website and you don’t want to have an incorrect price displaying. 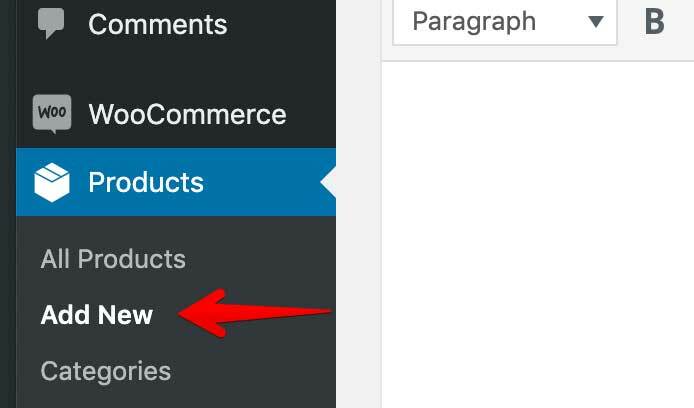 You can continue editing your product page and when you are done, click the Publish button at the top and your page will be live. Setting up a WooCommerce dropshipping store is a bit easier as you do not have to manually add product images the way you will with an affiliate website. You will of course need the same software as above to include a WordPress website, the WooCommerce plugin, and a WooCommerce store theme. Once you have those installed, you will need a dropshipping plugin as well. I use and recommend the AliDropship Woo plugin as it is one of the best out there and automates many essential features of your store. You can install the AliDropship plugin by going to “Plugins” in your WordPress admin area and clicking on “Add New”. Click install and activate the plugin. You will then need to add your license key which will be provided when you buy the plugin. You can begin importing products from the AliExpress website into your store. 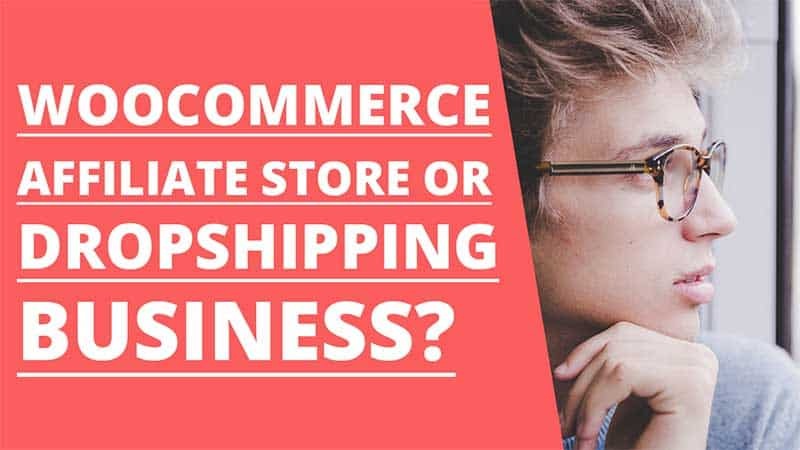 So now that you know how both affiliate marketing and dropshipping work, as well as how to set up your WooCommerce stores for either—which is the better option? There are some things that you’ll want to take into consideration. The biggest being profit. Which one will make the most money? Affiliate marketing is based on a commission structure. For example, Amazon Associates’ commissions are low for many product categories. That means your commissions would likely be low in the beginning as you build up traffic and chances are you will need a lot of traffic to your store to make any significant income. Whereas with dropshipping, you control your profit margins. You can set your own prices which gives you more control with what you earn. You can also earn faster since you will likely use paid advertising to promote the products in your store. It is a matter of targeting people who are interested in your items. Many new dropshippers earn their first sales within the first week or two of running paid ads. There is less to manage with an affiliate store. You do not have to worry about dealing with customer issues. Since customers buy their products directly from the merchant, you won’t have to deal with returns or complaints. With a dropship store, your customers will reach out to you when they are having any issues. You will be responsible for any returns or refunds. The nice thing about a dropshipping store is that it is automated. All of your product inventory and pricing will be updated automatically. Order processing is automated as well, along with tracking information which is sent to your customer for you. An affiliate store will require you to check if the products you have listed are still being sold or if they are out of stock. It really comes down to preference and what your goals are with your store. A WooCommerce affiliate store can be a great addition to a niche blog. 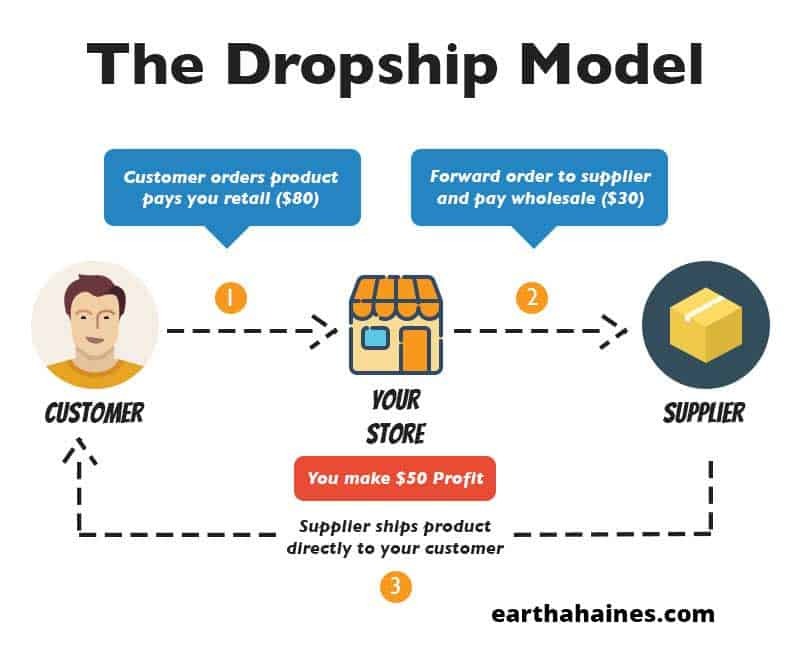 A dropshipping store is ideal for anyone that truly wants to be an eCommerce store owner and develop a full-time online business. Are you interested in a WooCommerce dropshipping business? 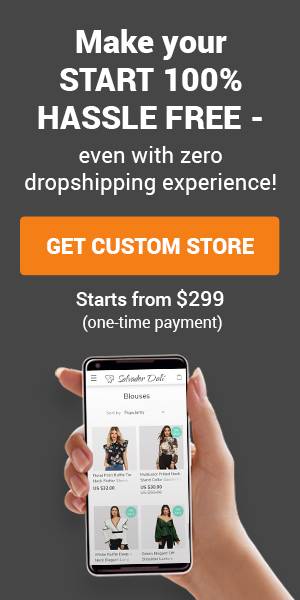 Consider ordering a custom made dropshipping store from AliDropship. Which type of WooCommerce store appeals to you more? An affiliate store or a dropshipping store? Leave your feedback in the comments below.